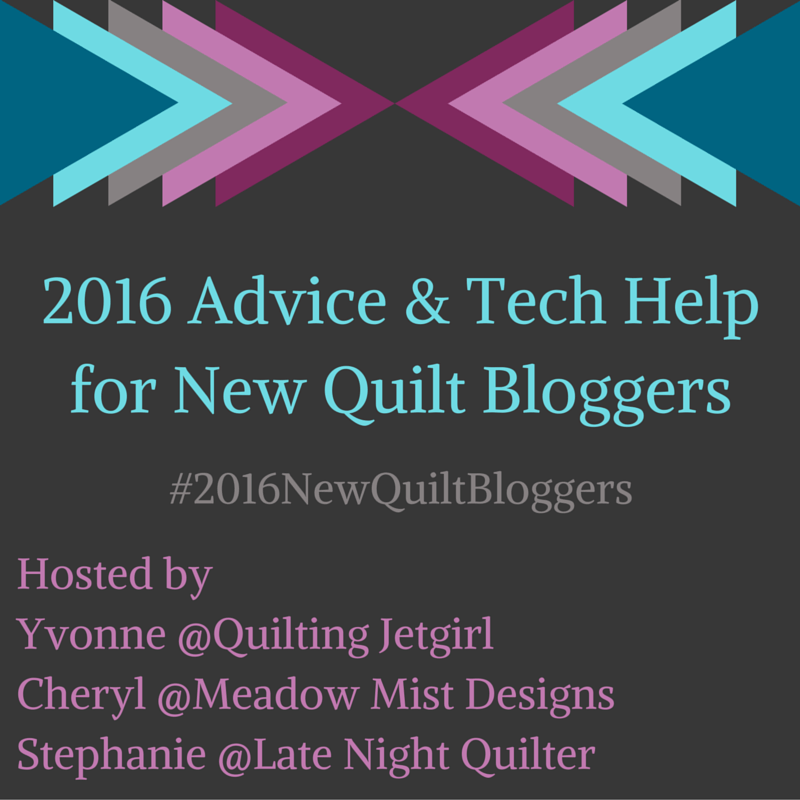 Since I have a finish this week, I decided to link up to the Bloggers’ Quilt Festival. I never have joined in before, although I always enjoy looking at what people have made! This quilt just fits into the small quilts category, at 65 by 50 inches, after washing. I last shared this quilt-in-progress while it was still snowy. This week, I was motivated to finished it off while all these spring flowers were still in bloom. They’re a match! Making this type of quilt was easy and fun, allowing for most of the time to be spent just playing around with the colors. Which is what I love. And I really love these colors. I quilted this one simply, straight-ish lines along both sides of the seams. I enjoyed seeing the colors smashed against each other as they passed under the needle. Lots of lovable fabrics in this one — including those strawberries on green. I never get tired of those. 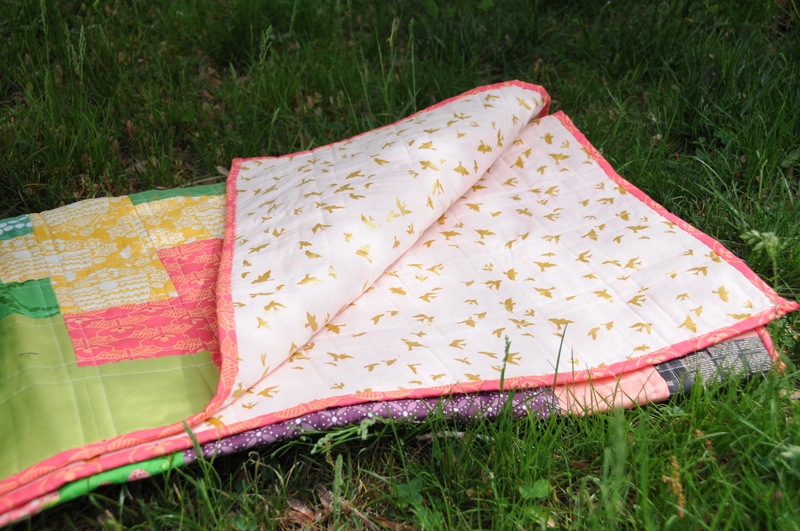 I’ve used another favorite fabric as the backing — Brambleberry Ridge metallic gold birds! And I like the light fabric for contrast with the bold front. It’s like turning over a dark, greenish turtle, being surprised by its light-colored underside. And a favorite Art Gallery fabric for the binding. This coral color. I just love it. This old stone church is in our neighborhood. This side, this door, is right at one of the busier corners of town. Got some odd stares while I held up my quilts. Totally worth it though, right? Looks like I flipped the quilt over in this pic. 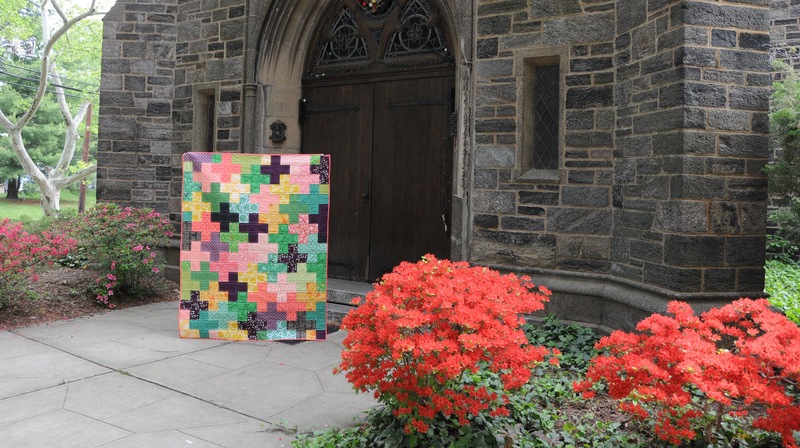 Well, hey, a plus quilt can do that. I think I might like it better this side up. Thanks for stopping by. I’ll be back with a few things to share next week. 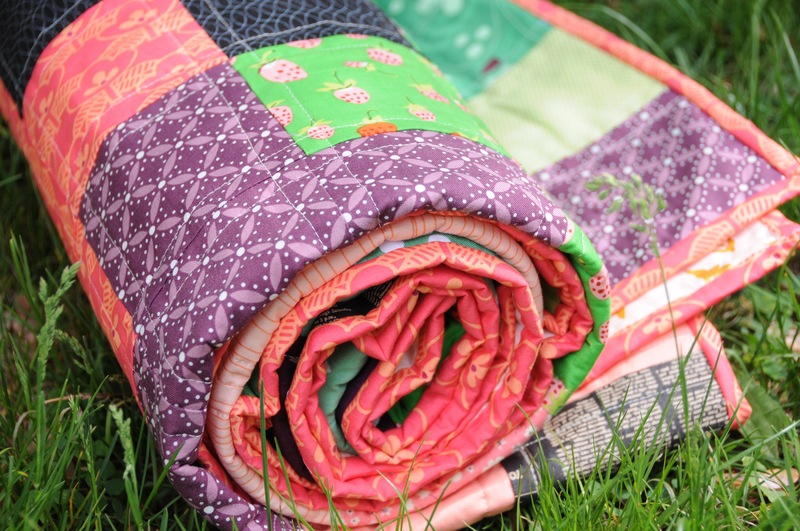 That is stunning–all the fabrics I love and beautiful spring flowers to boot! Good job! 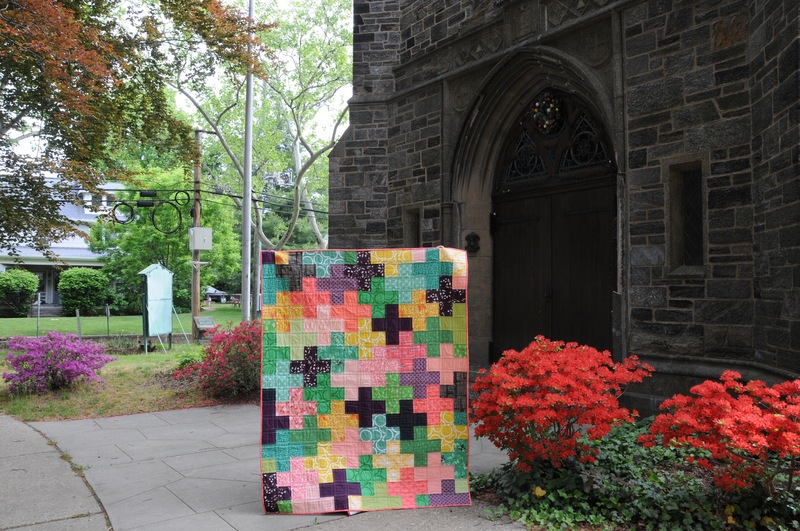 Oh,your plus quilt is beautiful. I love plus quilts. Great fabrics and colors you used. Lovely photos and I like how the flowers go so well with the quilt. 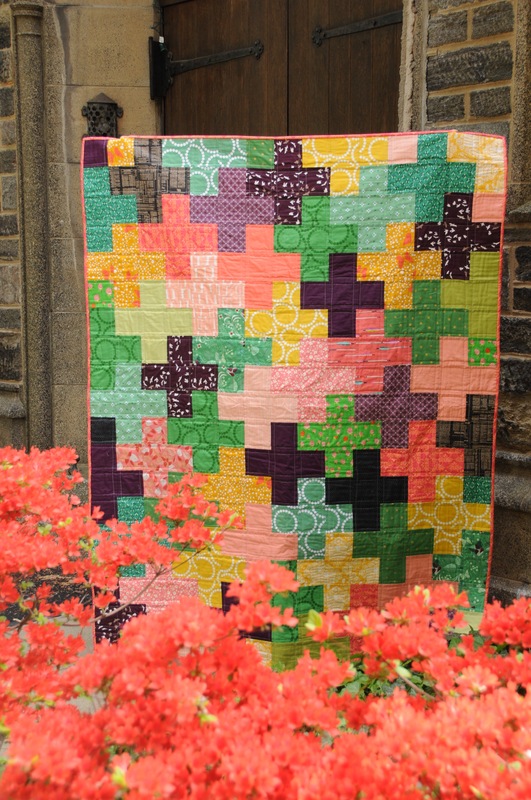 I love plus quilts and the colors you used in yours are just beautiful! 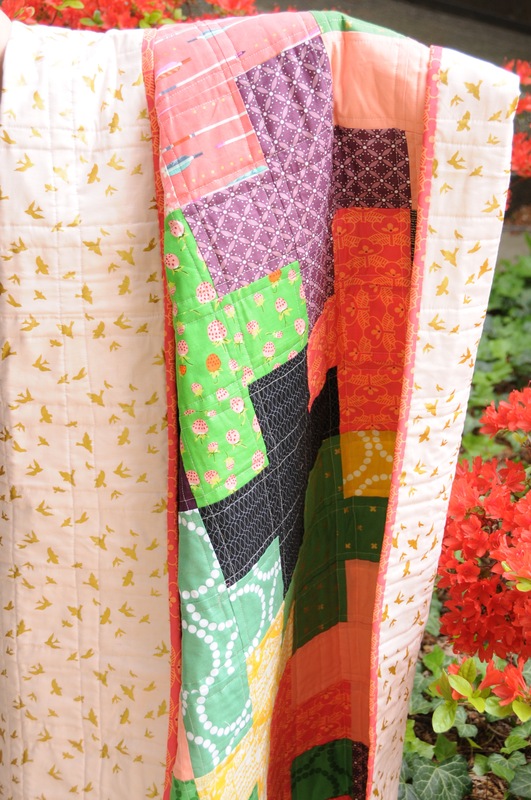 Great combo of fabrics–and I love the surprise backing fabric. Your photo at the church is fabulous–such a nice feel of your quilt blocks contrasted by the stones/bricks in the church building. 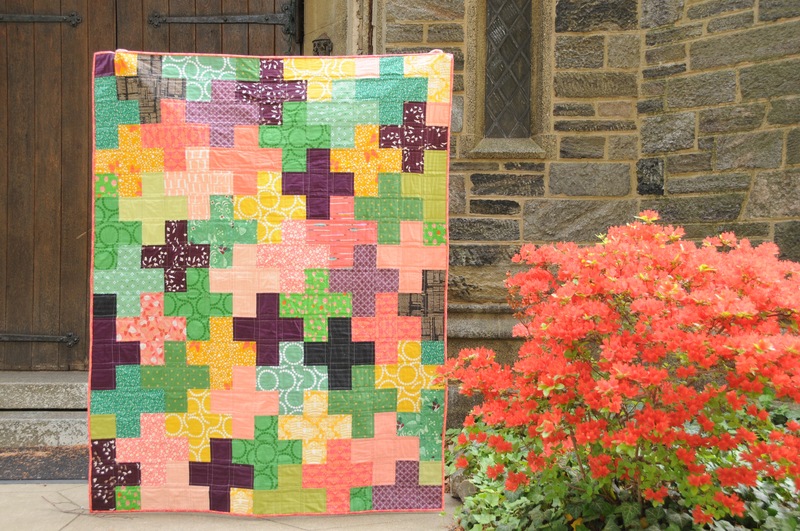 What a stunning quilt (and well done on finding matching flowers) – it’s so happy! Beautiful Quilt! Love all the colors you used…it looks like a natural extension of the nature around you. I love your colors!! so beautiful. I am planning a plus quilt for this year. Yours is an inspiration.